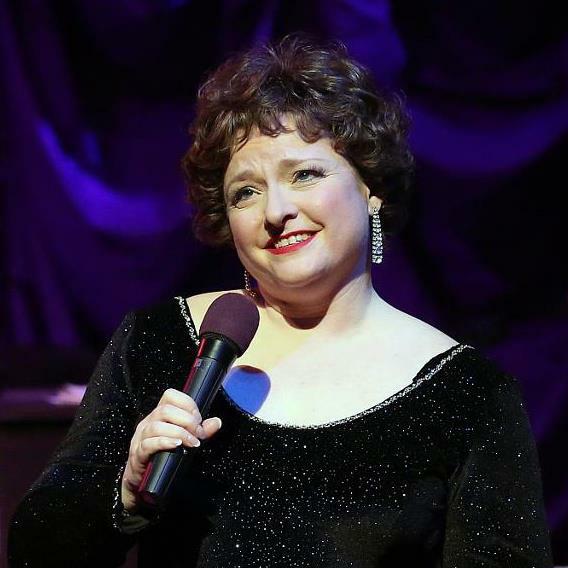 After seeing Oregon Cabaret Theatre’s Cabaret Christmas, I was determined to interview Kymberli Colbourne, a delightful comedic actress, director, and cabaret artist. We lunched at Dragonfly in Ashland. EH: How did you create Cabaret Christmas? KC: We went into development in May of last year. There was a lot of research and blood, sweat, and tears. That’s the thing about creativity. Creativity is about chaos and risk. EH: What draws you to perform on stage? KC: I love the immediacy of the relationship between myself, the playwright, the actors, and the audience. There’s no other place where that happens in that way. For me the true meaning of theater is ensemble. I consider the audience part of that ensemble because it’s the energy that they bring that completes what we do. The playwright gives us a skeleton. In rehearsals we put the flesh on that skeleton. Then every night we have to breathe the life into our characters in each moment. What the audience brings is the final piece of the relationship; that makes that world real, because they buy into it, and they take the journey with us. KC: I think a good director has a point of view on the piece. The playwright gives us the play. When we lift it off the page, it becomes the vision of the director. When I direct, I like to provoke. I don’t so-much care if you like my or hate my piece, as long as you have a response. Sometimes it’s good for the box office and sometimes it isn’t. I believe the function of theater is to help us experience things at a safe distance and begin to decode the issues of our day. When it’s living and to its cultural height, it’s functioning as a workshop where we can talk about and work through things as a society. EH: What makes a good actor? KC: You have to be a person who constantly invites others to be part of your work. I think you have to be available to the suggestions of the playwright, the director, the other actors and the audience. You have to be willing to take things in as they come at you, living within the moment that’s happening in front of you. I’ve developed a process over the years. I come at things in a disciplined manner. I’ve developed a framework. But if that was all I was willing to do, if I wasn’t willing to take anything else in, as the process moves along, then I would be doing myself (and ultimately the audience) a disservice, because I wouldn’t be inviting them in. The most exciting moments for me are when all of us are alive, in the moment together, and making it all happen mutually. EH: How does acting in cabaret differ from acting in theater? KC: Traditional cabaret is really about the artist, just being the artist, whereas when I’m an actor, I’m playing someone else. I’m bringing my true experiences to underscore and to make true the experiences of that character. But I am that character. In cabaret, it is you telling your stories and singing these songs and talking about why they matter to you. It’s not necessarily my story. It’s that suddenly I’ve opened up myself in a way that has invited you to share with me your story and your moment: tapping into a universal experience. Colbourne will be performing next in Oregon Cabaret Theatre’s Cole Porter review, Let’s Misbehave, which plays February 10 – March 18, Thursdays through Mondays at 8 p.m. Sunday brunch matinees at 1:00. For tickets and information, call: 541-488-2902.